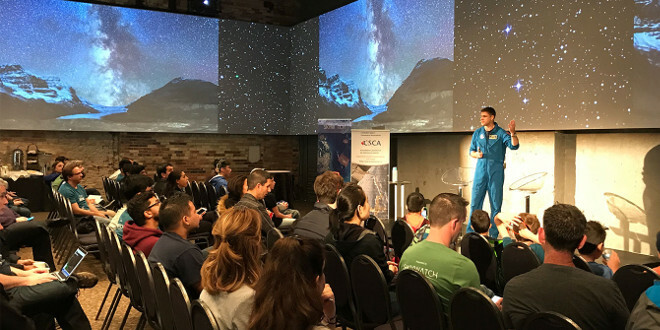 Astronaut Jeremy Hansen speaking at the Waterloo Space Apps Challenge. Credit: CSA. 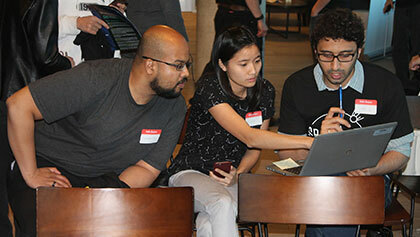 The Canadian Space Agency (CSA) participated for the first time this year in the NASA Space Apps Challenge with a trio of open data challenges of their own. 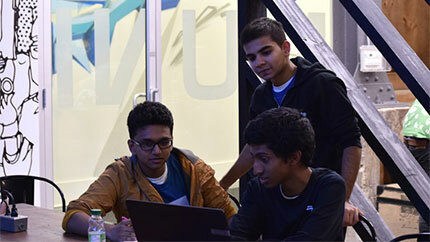 Of the 31 teams that participated in the Canadian venues of Ottawa, Toronto and Waterloo, five were nominated for the CSA to consider. The CSA then awarded a winner for each of their three challenges. Peri Peri team working. Credit: Judy Chang. 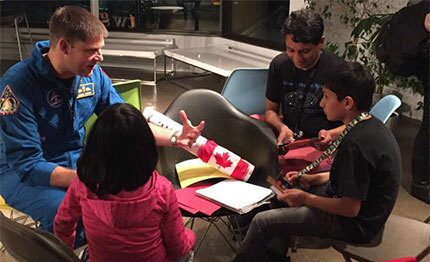 CSA astronaut Jeremy Hansen chats with Arushi, Artash and their father Vikas Nath after the opening session of the Space Apps Toronto. Credit: Arushi Nath/CSA.